Complete printable Spring 2019 syllabus in .PDF format. Computer Literacy Laboratory Manual, 2018-2019 Printing -- William T. Verts. This book, with a ORANGE cover, contains all homework and lab assignments for the course. It is derived from my old Computer Literacy Workbook, which is now largely obsolete. This is a reference book that applies to all of my classes. Not all of the material applies to this class, but it represents the union of all material I cover in all of my classes. Many students take follow-on courses from me where the other material will be presented, often from a different direction. NOTE: A small number of students may have the 2016 unrevised Third Edition. It is OK if you have one of these - the pagination is identical to the revised version. The revised edition has new information, errors have been corrected, and is now in color. While I prefer that you have the most up-to-date version, it is OK if you have the old one. 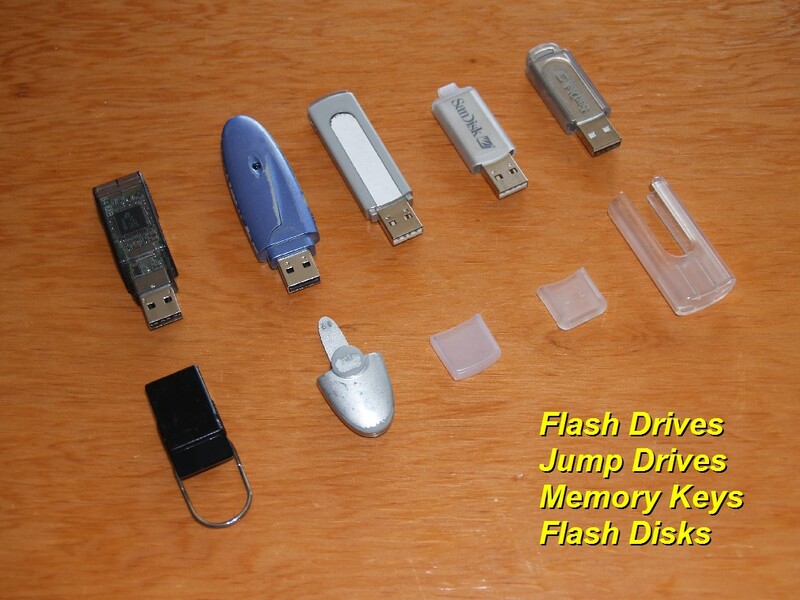 You will need a flash drive if you need to move files back and forth between the campus labs and your home computers, or if you want to bring me a file to examine. Please get a small stapler to carry in your backpack at all times (for preparing your reports to turn in). The document you are reading contains an older version of the mission of COMPSCI 105 (shown below), but is still a valuable, if slightly out-of-date, resource. As part of the University requirements on General Education courses, the General Education Statement is a link to a more formal and much more current statement on how COMPSCI 105 addresses the general education mission. Microcomputers are now used widely not only in academia but also in all areas of modern life. For this reason, it's important that all student understand how computers work and how computers can be used as a problem-solving tool. The focus of this course is on computer applications. The course stresses the ways in which computers can help you solve problems efficiently and effectively. The course provides a broad introduction to hardware and software aspects of microcomputers. The four application areas are discussed: word processing, spreadsheets, databases, and telecommunications. The course uses the University's microcomputer labs, and weekly 90-minute lab sessions are an integral part of the course. Students who are more interested in computer programming should take COMPSCI 121 or COMPSCI 119. Prerequisites: reasonable high school math skills. Typing ability is also an important asset for the course. The description above, although fundamentally correct, speaks only of the superficial mission of the course. The obvious and primary mission of COMPSCI 105 is to insure that students become competent using microcomputers. This is achieved in two ways. First, we teach specific packages (Microsoft Word, Excel, and Access as parts of Microsoft Office, and several Internet tools). Second, we approach the teaching of these packages in such a way that students can generalize to similar packages they may encounter later on. How do you abstract a specific problem to a general case? How do you decide what software is proper for the problem you are solving? How do you organize your data for solution by a computer application? How do you know whether your answers make sense? How do you present your answers so they make sense to someone else? How do you use your results to ask better questions? How do you use computer networks to do research and to communicate with others? How do you survive fearlessly in today's electronic world (and that of tomorrow)? The operating system - a computer's Swiss army knife program! Word-wrap, cut and paste, search and replace, character and paragraph styles, saving and loading, printing, spell and grammar checking, drag and drop, etc. What is the Internet, how is it growing and changing, and why is it a Good Thing? Why is the Internet not the same thing as the World Wide Web? Other Word Processors - Wordpad, etc. Other Spreadsheets - Lotus' 1-2-3, Lotus' Improv, etc. Purchasing a PC - How do you know what to ask for and what you are getting? You are responsible for material presented in class, readings, and lab materials. You are expected to do your own work. No exceptions. You need a very good excuse to be eligible for a make-up exam. If you are sick, please make sure you bring a doctor's note as proof. If you suspect you will be absent for an extended length of time, get a message to us as quickly as possible! We can always make arrangements to get you copies of assignments or to extend due-dates, as necessary. Please do not disappear for three weeks without telling us, then show up and demand that due dates be extended. You may turn in assignments to me or to any of the TA's. Slip assignments under the TA's door if it is closed. Make sure that your name and ID are printed on each of your assignments. With 400+ students and fifteen to twenty assignments per semester, there are bound to be some assignments that get lost. Help us minimize this possibility! STAPLE all loose pages of your assignments together! I give very few Incompletes: they are reserved for the few people who can't finish a small amount of work due to illness or unavoidable circumstances. I've had people ask for an incomplete who flunked the midterm, didn't turn in any work past lab 3, and never sought help during the semester. Dream on! If you need anything from us, please ask! We will make any reasonable accommodation that we can. We cannot help you unless you seek us out; so please take advantage of our office hours. Copying files from one machine to another is ridiculously easy. Some of you may be tempted by this fact to "share" assignments, or to engage in out-and-out thievery. Either case constitutes incorrect behavior, and will not be condoned. Only in extremely rare and unusual cases will two assignments look identical; under most circumstances your assignments will exhibit some form of stylistic "signature" that makes it unique to you. We find cases of cheating when two (generally incorrect) assignments bear that same signature (character formats, paragraph styles, page layout, choice of commentary, etc.). We then put the assignments one on top of the other and hold them up to the light: failing the "shadow" test means you and your accomplice are both in deep weeds. When found, we will follow the directions in the published guidelines on academic honesty. Please read this document carefully. One of the most common things that we hear in office hours is "I'm not like all your other students" followed directly by "I don't know very much about computers". What prompts those statements is a certain nervousness about learning a new and intimidating subject, using unfamiliar high-technology equipment, and a feeling that all the other students know far more than you do. You have no reason to feel this way. If you knew lots and lots about computers, you wouldn't be in this class, and thank goodness you aren't like all the other students! Yes, Virginia, you will be using mathematics in this course. We believe that in today's world the ability to use mathematics is a critical survival skill. The ability to reason mathematically is a necessary and important part of making informed decisions, and the lack of such skills is equivalent to illiteracy. We aren't going to ask you to derive the quadratic equation, plot the orbit of a cardioid, solve an indefinite integral, or prove that E=mc2, but there are some practical skills that we are going to insist that you have. These include (but are not limited to) solving and writing arithmetic expressions, knowing how to take a percentage of a total, converting quantities from one unit to another, converting between and reasoning about number bases, using logic (AND, OR, and NOT), computing simple interest rates, and creating, modifying, and reasoning about graphical presentations of data. If we present any assignments that require more advanced treatments of mathematics, such as trigonometry (which we have done in the past), we will give you enough background to be able to solve the problem. We will not leave people in the lurch; there will always be some form of assistance available. If you would rather be on the far side of the planet (any planet) than dealing with a computer, please give us a chance! Even though it is now a necessary part of our everyday lives, working with computers is also one of the most intellectually rewarding activities I know of, and it can be great fun as well! We will do our best to show you the ropes, and we hope that our excitement wears off on you. If you have a documented learning disability, have contacted the Disabled Student Services office, and have signed the forms so that we will be notified, we will be able to help you. In a class of 400+ students, it is inevitable that several will have some form of learning disability. We accept and acknowledge that fact, and are willing to accommodate you the best way we can. This includes giving untimed, oral, or private exams, and scheduling regular office hours for consultation. If you are learning disabled and math-anxious, or math-anxious and computer phobic, or all three, things will be a bit more difficult for you, but all is not lost! Make certain that you seek help from any of us during office hours; that is why we are here! If one person does not meet your needs, seek out another! We will work with you until you understand the material; that's our job!